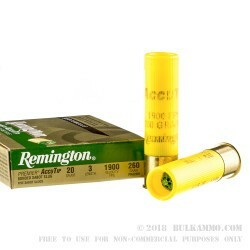 Remington has been a giant in the world of ammunition and firearms production for over 200 years. The company has a well-earned reputation for reliability and accuracy. 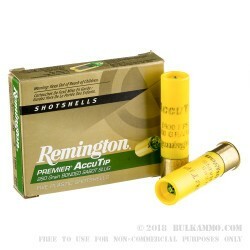 All Remington shotshells are made right here, in the United States. 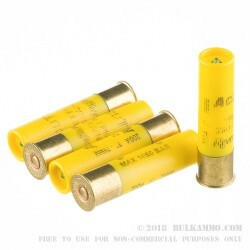 These 20 gauge AccuTip Sabot Slugs are designed for hunters who depend on their shotguns every year to fill the freezer or bag that big buck. 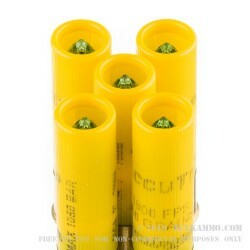 Each slug is loaded with a 260 grain AccuTip bonded sabot slug with Power Port Tip designed for accuracy up to 150 yards, with reliable and rapid penetration and expansion. Expect a muzzle velocity around 1900 feet per second. 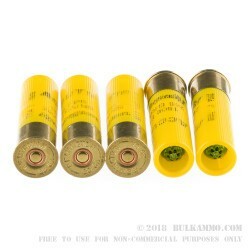 When you order this 20 gauge ammo, you’ll get a single box with 5-rounds inside that are ready to fire from your shotgun.